iTunes started supporting podcasting in June 2005 with version 4.9. Once that happened, podcasting took off! iTunes can get very confusing when you upload an episode to your media hosting provider and it doesn’t show up in your itunes STORE listing. By the way, notice, I didn’t say UPLOAD TO ITUNES. The term “iTunes” can mean 3 different things. The way the itunes APPLICATION works on your computer is you find a podcast in the iTunes store, you click ‘subscribe’ and it then sets up a listing in the podcast section in your music library. The last episode will start downloading. You will also see all the rest of the episodes in the feed you just subscribed to. You can click the “get” button next to an episode and download that one also. You can click “get all” to, well, get them all. At this point you are subscribed to the RSS feed of that podcast in iTunes. You are NOT however downloading those episodes FROM itunes. You are downloading that media from that person’s media host server. From now on, your itune application on your computer only talks to the feed you subscribed to. Not back to iTunes store. Your itunes app will check that feed every so often and when something new shows up in the feed, it will download it for you and have it ready the next time you plugin in your idevice or want to listen on the computer in the iTunes Application. Your iTunes store LISTING is totally different then the RSS feed coming from your website. The listing will reflect what is in your RSS feed the last time iTunes checked it. This is where it gets a little weird. iTunes (the store) will check your feed every so often. I say “every so often” because there seems to be no rhyme or reason for when and how often they do this. On some podcasts, they do it within an hour. Others it takes a few days. The nice thing is, and something you need to keep in mind, that even if the store listing doesn’t have your latest episode in it right away, your subscribers will get the newest one. AND, if you have a new subscriber they will get it too. The last episode listed in the store listing isn’t necessarily the last episode. (since it’s looking at your rss feed instead of what itunes has listed in the store) In other words, don’t worry so much about it. Now, if you have some sort of feed problem, itunes may stop pulling your feed for a while. It could be 2 weeks or a month before they try again. If your feed is fixed by the next time, they will update your store listing based on your feed. If it’s still screwed up, they won’t. After so long they will pull your listing all together. SO it’s a good idea to check it 2 or 3 days after you post a new episode just to make sure things are working. Also, it’s good to go to FeedValidator.org after you post and make sure your feed still ok. This will prevent itunes from getting stuck. A lot of podcasters nowadays think that if they are in iTunes, that is enough. On average, my podcasts get downloaded in iTunes only 40%. 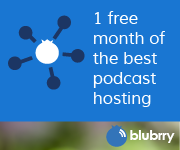 SO, the rest of the time, people either listen on the website, though blubrry.com, Techpodcsts.com, android or IOS apps and more. So the importance of iTunes isn’t as great as some think. It’s still important, but just don’t think of it as the be-all-end-all of podcasting. 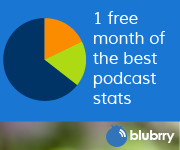 They are a good place to discover podcasts, but more than 50% of your listeners (or viewers) will get your content in some other way. So it’s very important that you keep your feed in good shape.